When I was a teenager, I was so introspective that I was dangerous. I thought I had so many things figured out, and had good reasons for the things that I thought or did. For instance, I generally didn’t date a guy if he was to good looking or a super athlete (I doubt any of them are reading this food blog). In my mind, since I put them on this imaginary pedestal, they probably put themselves there too, and weren’t as nice as the guys I was friends with or did date. Is that a whopper or what? I am just preparing you for my logic on posting this bread. Yes, it is kind of an ugly loaf, which means it tastes amazing. This bread was made as a part of my Bread Bakers group challenge. Our theme this month is “Summer Bounty”. I put about the whole darned farm into this loaf! I put so much stuff in the dough that it just didn’t want to stay together. I also think that using all whole wheat flour, made the dough less resilient to absorb and contain all of the ingredients. This bread will not make a great sandwich bread because it is difficult to slice thinly, but it would be delicious to eat on a cheese board or with a salad. This bread was moist, flavorful, and tender but yet firm. So, I guess if I were to date a loaf of bread, it would be a match made in heaven. By the way, I met my husband at the age of 19, in college. He was nice, smart, gorgeous, and a great athlete. Who knew! A whole wheat bread recipe that is moist, tender and delicious. Flavored with spinach, onion and red peppers make it a great choice for a cheese board or with a salad. In a medium size bowl, combine water, honey, 1 teaspoon of salt and sprinkle yeast over the top. Let set for 15 minutes to foam. Whisk in 2 tablespoons of olive oil, and then sift in 1 cup of the whole wheat flour and mix until combined. Set aside for 45-60 minutes or until it has a sponge-like texture. Meanwhile, in a medium skillet, heat 2 tablespoons of olive oil and saute onions until tender, about 5 minutes. Add peppers, thyme, garlic and 1 teaspoon of salt. Stir in the spinach and cook until the spinach is soft. Pour the lemon juice over the mixture. Drain the spinach mixture in a colander set over a bowl to catch the drippings. In a large bowl, add two cups sifted whole wheat flour. Make a well and pour the spongy mixture into the well. Knead for 10 minutes, adding enough of the cooking liquid to make it pliable yet firm. Transfer to the oiled bowl and cover with plastic wrap. Let rise for 2 hours. Add cheddar cheese and mix for 1 minute. Add spinach mixture and sprinkle with remaining 1/2 cup whole wheat flour. Mix together quickly. Dough will be moist and loose. Don't knead again. Form into an oblong loaf and place the dough on a well oiled or parchment paper-lined baking sheet. Cover lightly with plastic wrap and let proof for 1 hour. Preheat oven to 375 degrees F. Bake the bread for 20 minutes. Reduce oven temperature to 350 degrees F and bake for another 30 minutes. Cover last 10 minutes with aluminum foil if bread gets to brown. Adapted from romancingthebee.com with many changes. I thought, what a colourful and delicious looking loaf. It has lovely colours and I would personally use it for my soup…mmm that would be awesome! That would be so good too Liz! Thank you! I would say it looks rustic, but it was so moist and delicious. A good thing about it is you could add any thing you like. I appreciate you stopping by! Such a wholesome and healthy bread, looks very delicious. Thank you so much Sona! I appreciate you stopping by! Lovely post Julie. Had a good laugh. Thank you! This bread was very good. I like all flavors of bread, and you could fill this with what every you enjoy. This looks absolutely delicious! Thank you so much for linking up at Tasty Tuesday! This post has been pinned on the Tasty Tuesday Pinterest board! I love having you and can’t wait to see you next week! Thank you Stephanie! I appreciate being included with all of these other talented people! Such a colorful, savory bread Julie, I love all the ingredients, textures and flavors – you are quite the bread expert aren’t you? 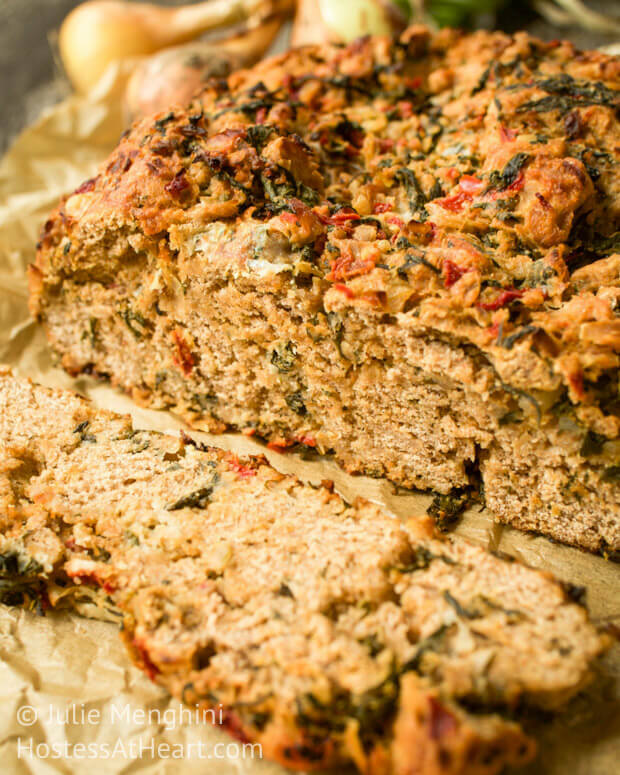 Sometimes these challenges forces us to try new things and this bread is definitely a winner! Great job! Thank you Loretta! I just love all of the fresh produce that we get this time of year. I’ve been loving keeping up with you through your great family photos! Ha ha Julie, I love having fun on FB. :). It’s a nice distraction. It’s the only bit of social media that I am on, I’m sooooo antiquated. The other day I asked my daughter if she thought Instagram would be good for me…. she said “Mom, you don’t have a smart phone, you can’t have Instagram”…. shows how much I know ha ha! Hope you’re doing well. I have all that stuff Loretta but am kicking and screaming when it comes to use it. It just seems like such a time vacuum. I just took a bit of time off and went to Lake of the Ozarks with friends. My dog was attacked by two loose dogs while on her leash with grandpa when we were gone. She is alive but so torn up. I put a couple pics on FB. Breaks my heart poor baby. Lake of the Ozarks sounds lovely! I saw the pictures of Maci, how very sad. Hopefully she’ll be on the mend soon. So glad your daughter was around to take her to the vet. Take good care of yourself and Maci. Thanks! This bread was yummy with those red peppers and that cheese was a great treat too! Thank you Nancy! I just love baking and I am having a great time learning from some very talented bakers! That is not an ugly loaf in any way. As soon as I saw it I thought “wow” and how great it would be to snack on or perhaps nibble on while sipping a glass of wine. Now Renee, I like the way you think. This bread would be great to snack on with a glass of wine! Thank you for stopping by! I was actually just telling my mom that we should make some bread soon. We haven’t made it in a while because we are trying to limit our carb intake BUT we might just have to break our little agreement! Also, I tried the mango sorbet recipe and my mom (who doesn’t care for mangos) actually thought it quite delicious! I used a hand-powered chopper so the mixture had little chunks of mango, but I think it worked out pretty well. Thanks so much for sharing all of your wonderful recipes! Thank you so much for letting me know you tried the mango sorbet! You could also use peaches? I think that all of the yummy veggies in this bread cancel out the carbs right? Peaches, nectarines, it all sounds great! And I would definitely have to agree! Thank you Laura! 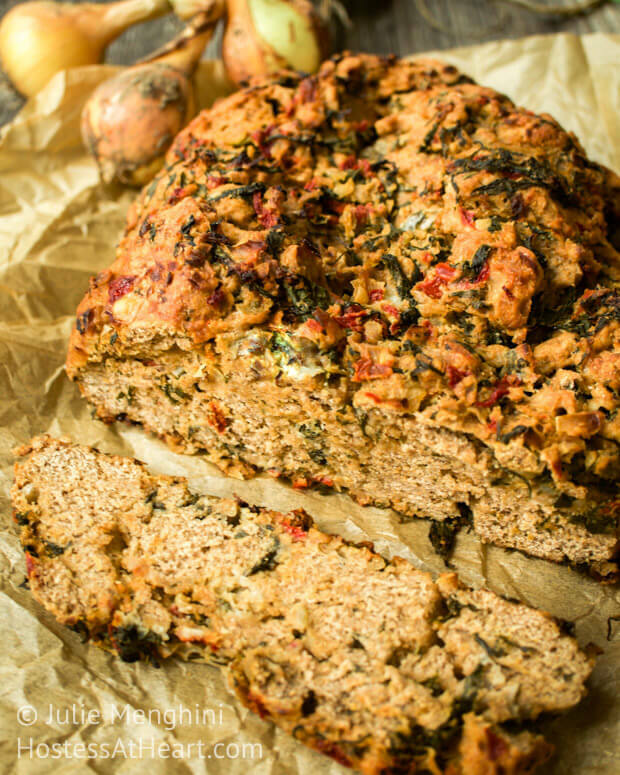 This bread was definitely so flavorful with great produce! I knew I would love this bread just from the title, Julie, and the bread itself lives up to that promise! Thank you Stacy! It was almost a meal by itself! Thank you Stacy! I really enjoyed this bread and it’s so versatile. Thank you so much Mireille! It is like a garden in a bread pan. Thank you so much Mireille! I don’t think I could have gotten one more veggie stuffed in that bread if I even tried! Looks like a delicious bread, Julie! I love all of the ingredients you put in it. It looks very moist, too. Fun post that made me smile! Oh! 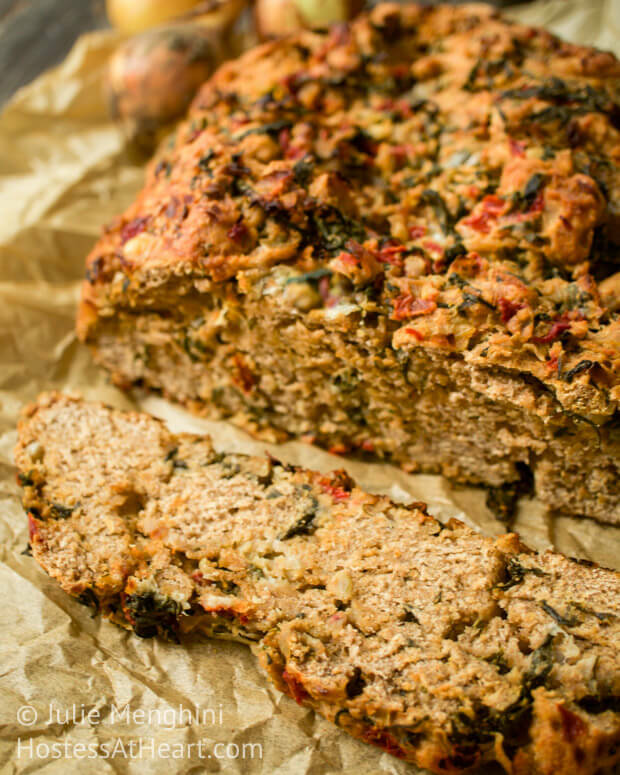 what a beautiful, flavorful and healthy bread. Thank you! It was healthy and felling as well. I appreciate you stopping by! Thanks skd! It’s a good thing that the world doesn’t revolve around my thinking sometimes! I am so blessed with my hubby and my kitchen! Enjoy this great day! Thank you Erin! Midnight? Get to bed girl! Thank you! I agree. The smells and tastes are so comforting and do bring up some great memories! Gorgeous colors in the bread, wow, Julie! Thank you Cindy! I appreciate you stopping by! I just want you to know that when I opened your post and saw the photo I thought “Oh my, that is a lovely rustic loaf of bread” then I read on and saw you thought it was ugly. Beauty is in the eye of the beholder I guess. Actually it isn’t ugly it is bountiful! Thank you for stopping by. Love the rustic look of this bread, very delicious. Thank you Kathia! All of the flavors worked so well in this bread. Roasted red peppers in bread? I am all over that, looks fantastic!! Thank you Tara! I was going to roast my own, but I had that jar in the pantry and it worked quite well. You are just so darned sweet Sridevi! I agree with all of that. I sure enjoyed eating too! a loaf with so much goodness and nutritious value does not need to look perfect. Love the rustic look. Thank you! 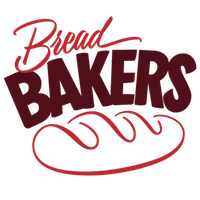 There are so many wonderful breads and I just love to bake. Thank you for visiting. Wow this bread is loaded! Onions and roasted red peppers are two of my favorite things. Julie, I am still laughing after reading your boyfriend analogy. I think this gorgeous loaf bursting with flavor, is a winner! I would certainly love to try this bread! Ha! I think a lot of us would Sandhya! Thank you Johanne! I did put some in the microwave, and it was delicious with Butttterrrr. But what isn’t right? I love your boyfriend analogy! 😉 Super funny. This bread sounds delicious!! Thank you Josette! I can be a nut case sometimes, but I think all teenagers can be nut cases right? This bread is quite rustic (not ugly)! I would love it on the side with a salad. Summertime deliciousness for sure! Thank you Cali! I do agree with you. It is definitely colorful and was delicious. Thank you! It isn’t a whimpy bread and would be yummy for dipping.